On June 11, we had a passing of the torch within our editorial offices. In true Tecolote party fashion, we bid farewell to our fabulous editor-in-chief, Gabriela Sierra Alonso, who will be taking New York City by storm as she begins her studies at City University of New York’s Graduate School of Journalism in the fall. During Alonso’s tenure as editor-in-chief, El Tecolote was named the “Best Community Newspaper of 2014” by SF Weekly–no small feat. Taking the torch from Alonso is Alexis Terrazas, a San Francisco native who brings extensive experience, both as a reporter and as an editor. Terrazas earned many journalism awards while in college, most notably the Peninsula Press Club Herb Caen scholarship in 2006, and a first-place award for “on-the-spot opinion writing” at the Journalism Association of Community Colleges state conference in 2007. 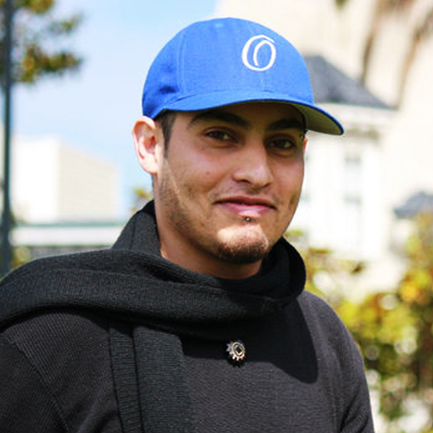 Recently, Terrazas worked as a freelance sports writer at San Francisco Examiner. Terrazas is also no stranger to our newspaper, having written for El Tecolote while he was a journalism student at San Francisco State University. We’re excited to have Terrazas join our staff. This month, Iñaki Fernandez de Retana, who has worked in our newsroom as a managing editor, also steps into a new role, covering El Tecolote’s arts and culture beat. A serious film critic, Fernandez de Retana is sure to increase our coverage of documentary films and festivals in the coming months. Readers can expect other changes this year as we work to post more stories online each week and then aggregate the best of those stories into the printed edition of El Tecolote every two weeks. Also look for more multimedia coverage. From our first year of publishing El Tecolote in 1970 to today, we’ve had 44 years of good fortune with the editors who have taken charge of our newsroom. Our founding editor, Juan Gonzales, made his mark 44 years ago and continues to stay involved. Many others, such as Carlos Alcala, who went on to work for the Sacramento Bee, and Rose Arrieta, who now works with Causa Justa, also left valuable imprints. The legacy of El Tecolote–the oldest free, bilingual (Spanish/English) newspaper in California–is tied to the talents, dedication, passion and vision of all those who have carried the torch for community journalism. To Gabriela Sierra Alsonso, to Iñaki Fernandez de Retana, thank you. To Alexis Terrazas, welcome!